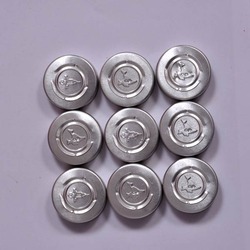 Pioneers in the industry, we offer olive oil aluminum caps, aluminium crimp caps, aluminium crimp closures, aluminum beverage cap, aluminum metal caps and tear down seal from India. oxidizing too swiftly, thus prolonging its life in perfect condition. The aroma and flavor are the same, whether opened 10 miles from the producer or 10,000. 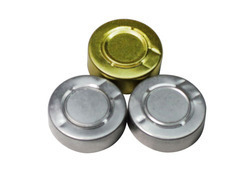 With years of experience in this domain, we have carved a niche for ourselves, by offering a wide assortment of Aluminum Crimp Caps that offer resistance to moisture and are leak proof. 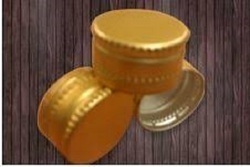 These crimp caps are manufactured by high quality material & advance machines keeping in mind the set standard. 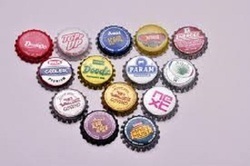 Offered crimp caps are used in diverse industries for catering to their packaging and storage requirements. Our firm specializes in providing our prestigious clients with a quality array of Aluminum Crimp Closures that are come in different sizes & customized options. Demanded for its accurate dimensions, these spout closures are made from latest of technology and hard work of our technical team. Offered crimp closures are designed with a universal insertion edge and the integrated pull-up spout is equipped with a tear-off seal granting a secure tamper evidence function. the guidelines laid by the industry and manufactured by using premium quality aluminum. To meet the diversified requirements of our prestigious clients, we are engaged in offering Tear Down Seal that is admired for their quality and longer life. As per the set market standard, the offered seals are manufactured utilizing supreme quality material & modern machines. 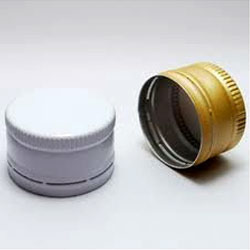 Offered seals are utilized in pesticides and in pharmaceutical industry. 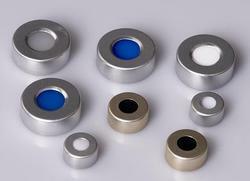 Our offered seals are obtainable in different sizes & customized options as per the need of customers. With the advent of advanced techniques and methodologies, we are involved in offering a wide range of Aluminium Printed Caps in the market. Our entire product range is delivered in standard sizes. With the supervision of highly skilled and experienced professionals, we are able to deliver defect free and quality prone product range to our esteemed clients. Moreover we assure timely delivery of these products. We are leading manufacturer of Aluminium Crimp Seals. We are leading manufacturer of Aluminium tear off Seals. We are leading manufacturer of Aluminium tear down Seals. Looking for Aluminium Caps ?